One of the most successful energy management tools ever applied to building HVAC systems is the AC drive (or variable speed drive). For more than 20 years, AC drives have successfully been installed on fan and pump motors in a range of variable load applications. Energy savings vary from 35 to 50 percent over conventional constant speed applications, resulting in a return on investment of six months to two years. The basic benefit to using an AC drive is energy savings. By matching system capacity to the actual load throughout the entire year, major savings in system motor energy use are achieved. This application gives the perfect solution for the problem and operation conditions in water feeding system. With analysis and demonstration, we think the reform of AC drive could resolve these problems and make a good economic benefit. Using the variable frequency control technology is one of the important methods to solve the problem. 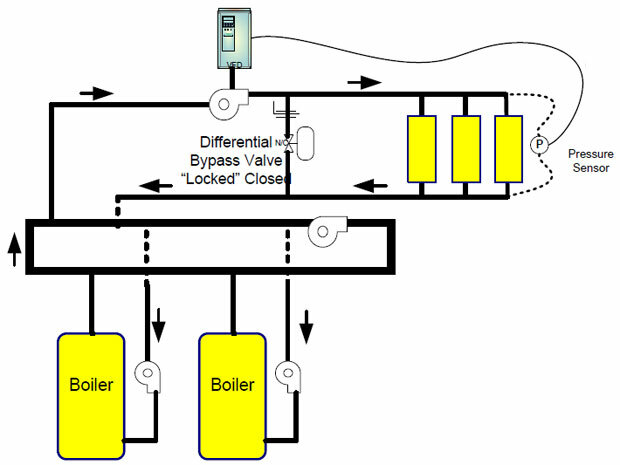 Controlling feed pump by AC drive can achieve the flow control in variable load. 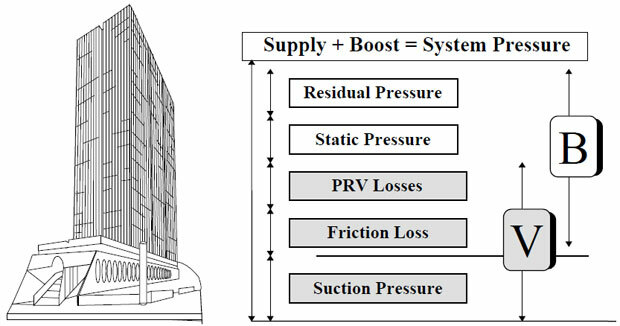 It solves the problem and improves the reliability of the system; furthermore, it decreases the throttle loss, reduces the wear and tear of the valve and damage on seal of the pipe, makes the equipment work longer, reduces the maintenance, improves the economic benefit of the system, saves energy and provides a good way to reduce power consumption of plant. A major Perth hotel installed AC drives on its air conditioning fans, improving conditions, reducing noise and cutting fan-related energy costs by about 40%. The initial installation had throttling dampers installed in the supply air ductwork. As the requirement for airflow decreased, these dampers closed to reduce airflow to the rooms. Not only was this method of flow control inefficient in terms of energy use, it was noisy and required regular maintenance. The hotel determined that installing AC drives on the fans would save energy, improve system performance and lower maintenance costs. After a trial run, the hotel installed AC drives on each of the guests' rooms supply air fans. The work included disconnecting the existing supply air dampers, upgrading the air conditioning control systems and installing the new AC drives. This application introduces the application of AC drive reform on Condensing pump in 300MW power plant, states the operation mode and energy saving effect after the reform. The total capacity is 8 × 300MW. Steam turbine unit is produced by Dongfang factory. The condensing system of 5, 6, 7, 8 are medium pressure system, equipped with 9LDTNA-5UA-type condensing pump made by Shenyang pump factory. The motor YLST500-4 type is made by Xiangtan Electrical Machinery Factory. (1) The reform is safe and reliable. It reduces the vibration of condensing water pipeline and temperature of motor coil. (2) The reform cancels throttle adjustment. Energy-saving for the condensing pump is obvious. (3) Personnel must take care in checking , especially for maintenance and check of AC drive. 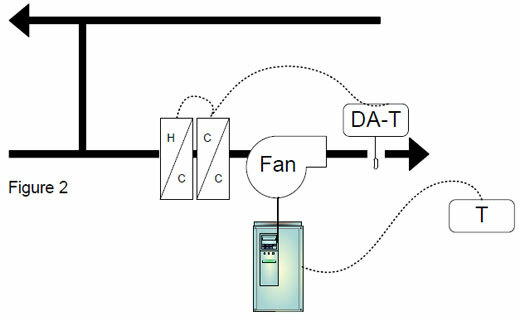 This paper introduced principal, function and characteristics of AC drive coordination control technology, explains a new method of energy saving without modification for DCS and control logics. A 100MW machinery unit is 380t/h coal powder furnace. The ID fan system is driven by two motors 6kV/800kW. In order to save energy, improve ID fan efficiency, reduce damper adjustment loss, user decides to choose stable and reliable AC drive reconstruction. Because the DCS was changed for several times, the spare I/O ports are not enough for AC drive construction. There is a question that how to realize AC drive reconstruction without modification for DCS and control logic. After deep research in AC drive characteristics, furnace operation technology and DCS structure, we put forward a new technology (HCU for abbreviation) which can save energy without modification for DCS and control logic.